I was at Lowes the other day and I saw their new 24V Kobalt tools. 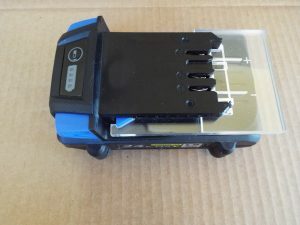 With a great surprise they sell a low capacity 24V Li-ion 1.5A/Hr battery for $10.00. Wow! 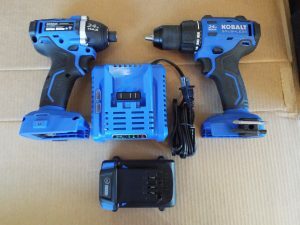 I was hooked I bought a the starter set with the drill and 1/4 inch impact driver with charger and a battery for $119.00 and 3 of the 1.5A/hr batteries. I am excited about having these low cost Kobalt 24V Li-ion batteries since they will be more useful as power sources for other projects. 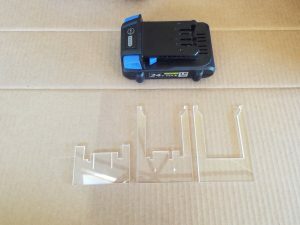 I quickly designed an adapter on the laser cutter out of acrylic that I could plug into the battery. 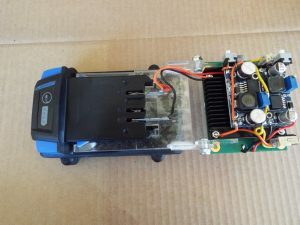 I installed a DC-DC boost board to produce the 28V needed for the series LED string and a DC-DC buck to produce the 5V needed for the USB ports. Great it works, lets test it. 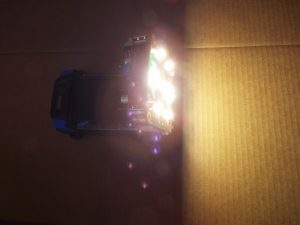 Wow runs for about 3.5 hours with the LEDs running. 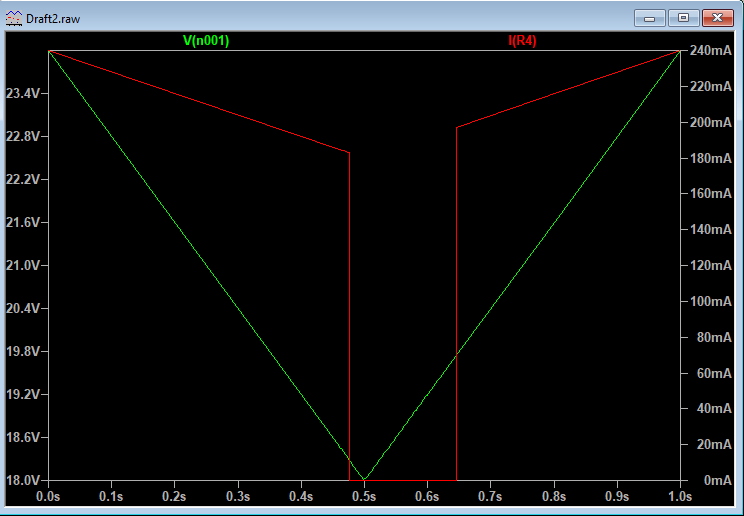 Hmm time for a low voltage cutoff circuit. So here is the simplistic circuit that I came up with: It cuts the battery off at ~18.2V and then with a little hysteresis it will turn back on again at 19.8V I figured this was a good trade off. 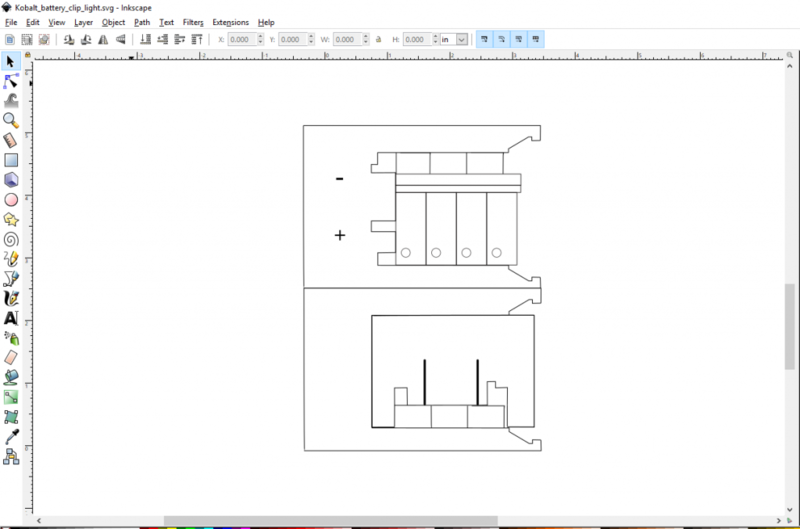 This is simulated, I am ordering the parts to see how the circuit will perform. 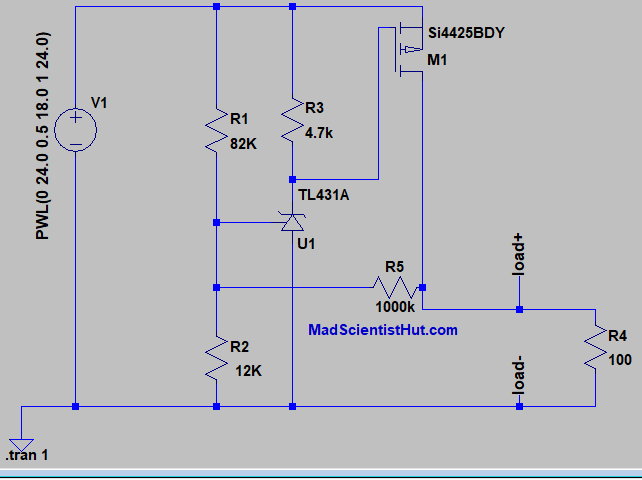 I plan on using a TLV431 since it will use less current to function and the PMOS will also be a different part. 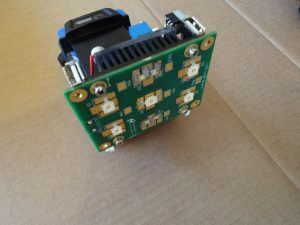 Edit: I just looked at the datasheet for the TLV431 and it is a low voltage part so a nogo there.